Brighton-based beer writer and radio broadcaster Emma Inch has been named Beer Writer of the Year 2018 at the Guild of Beer Writers’ annual awards ceremony, staged on 22 November. Inch is the creator and presenter of Fermentation Radio, the UK’s only regular beer and brewing show on FM radio. She has written for a number of national and international publications, judges regularly at beer competitions and this summer established the first Brighton & Hove Beer Week. 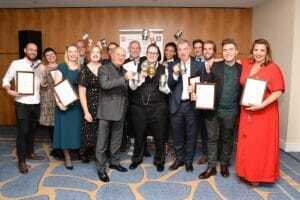 The winners were announced at the Guild’s annual dinner held at the Chelsea Harbour Hotel. 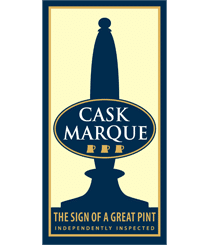 Guests enjoyed a four-course dinner, with each dish accompanied by a specially selected beer: Chalky’s Bite from Sharp’s; Fourpure’s Oatmeal Stout; Hopopolata from Marble Brewery; Hogs Back Brewery’s OTT and Dark Island Reserve from Orkney Brewery. Beers from the Award’s sponsoring brewers – Adnams, Fuller’s, Greene King, Heineken and St Austell Brewery – were enjoyed before and after dinner.